$100 Free Extra With $100 Deposit! 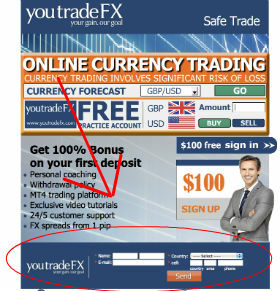 YouTradeFX offers new traders $100 extra free forex money on their first deposit of $100, meaning you can trade with $200. This is real, free forex money and one forex bonus you shouldn't pass up. More info below. You need to give your contact information and accept to be contacted by the commercial services of YoutradeFX. You need to trade 1 Standard Lot for each $10 in bonus. Deposit $100. Your $100 extra will be added right away. The $100 Free with a $100 deposit bonus is great for beginning traders that want to try out forex trading. 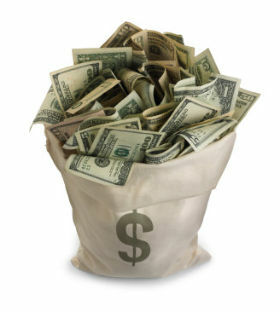 However, If you plan to deposit more than $200, you are better of with the 50% up to $2,000 bonus. Deposit $100 and get $200 to trade with!